Youtube – Online company profile: Complete details and official website details are gathered and a collection of information is given below about Internet based video website Youtube. Youtube is a subsidiary of Google established on February 14, 2005 by Steve Chen, Chad Hurley and Jawed Karim. Youtube helps people to create discover, watch and share the originally created videos. Do you know the other Bangalore IT firms & their addresses? 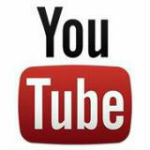 YouTube’s mission is to provide fast and easy video access and the ability to share videos frequently. – The first video “Me at the Zoo” was posted. It was only 19 seconds long. – Youtube was officially launched on December 15. – Google acquired Youtube for $1.65 billion. – Partnership with CNN to host the presidential debate. – Launched new music video service Vevo on April. – Started renting movies on January. – Youtube officially entered the broadcast business. – Youtube acquired Next New Networks an original web video programming company. – People across the globe watched the live stream of Olympics on July. – Introduced a channel called one stop channel for live election coverage. Reference: Wikipedia & Youtube Website.